Hi! I’m a final year BTech Civil engg student in a tier 1 college in India. I’m planning to take the gmat soon. What can i do in the next 1-1.5 years towards building my profile to cement my chances of getting into a good program? 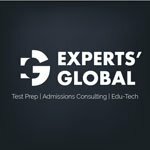 Will scoring 750 ish on the gmat and learning the language help? I also plan to do some relevant courses and remote internships in my area of interest (sales and marketing). What else can I do? Would appreciate some help! Thank you for sharing your story. It seems like you are on the right track with a lot of different experiences. 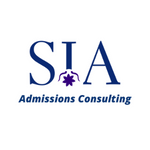 Taking additional classes and remote internships to round your application are a good idea. You can read this article to get a sense of how to prepare for b-school. The article has an MBA lens, but the insights can help in your MiM profile development. I hope this helps! The internship and courses make a lot of sense and you should definitely consider the same. At the same time, however, focusing on work and emerging with talking points (through achievements) will be very important. Further, to strengthen your profile on the extra-curricular front, you could look at joining a professional club such as Toastmasters; such a platform could help nurture your leadership and public-speaking skills. At the same time, you could even continue to engage with the NGO in a leadership role. Once you have all of the above in place, you will need to focus on your essays and put forth a set that is truly representative of your overall candidature. Please also spend this time deliberating deeper on your career goals. It will be good to understand the actual name of the school - helps get a better sense of the brand. Tier 1 helps a lot - a lot more for MiM than MBA in general. It will also be good to know where that GPA puts you, on a relative scale. 1.5-2 years is about right for MiM; any more and you would be tad on the higher side. Read here for more on MiM. The broad plan you have set is good. If timing is not an issue, consider waiting and make sure you understand how MiM stacks up against MBA.